Perfect for taking notes, jotting down reminders, listing to-dos and more! 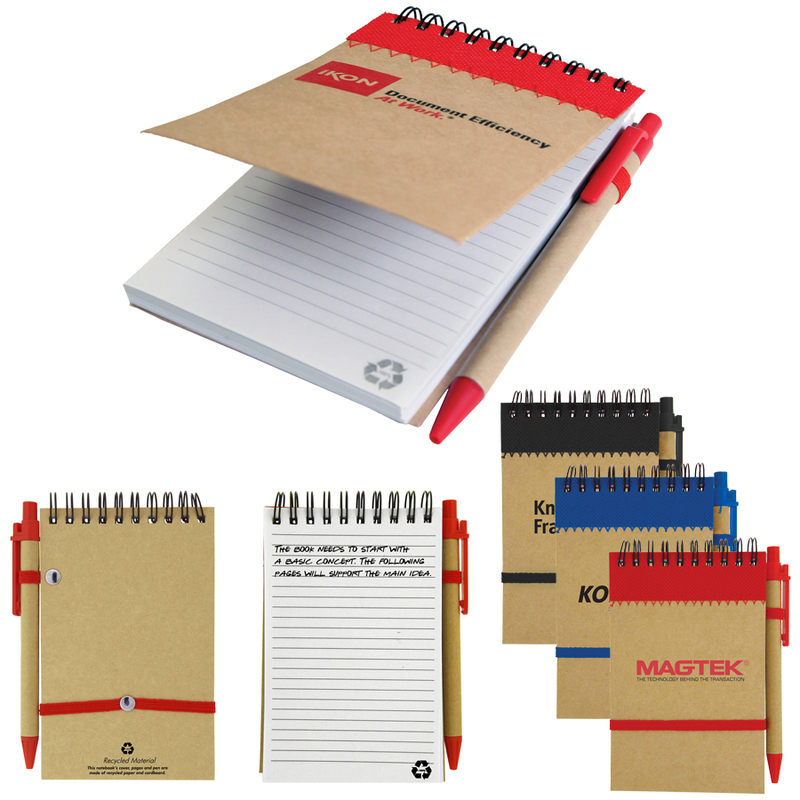 Our recycled jotter pads offers an excellent quality for all while keeping our earth clean and green. 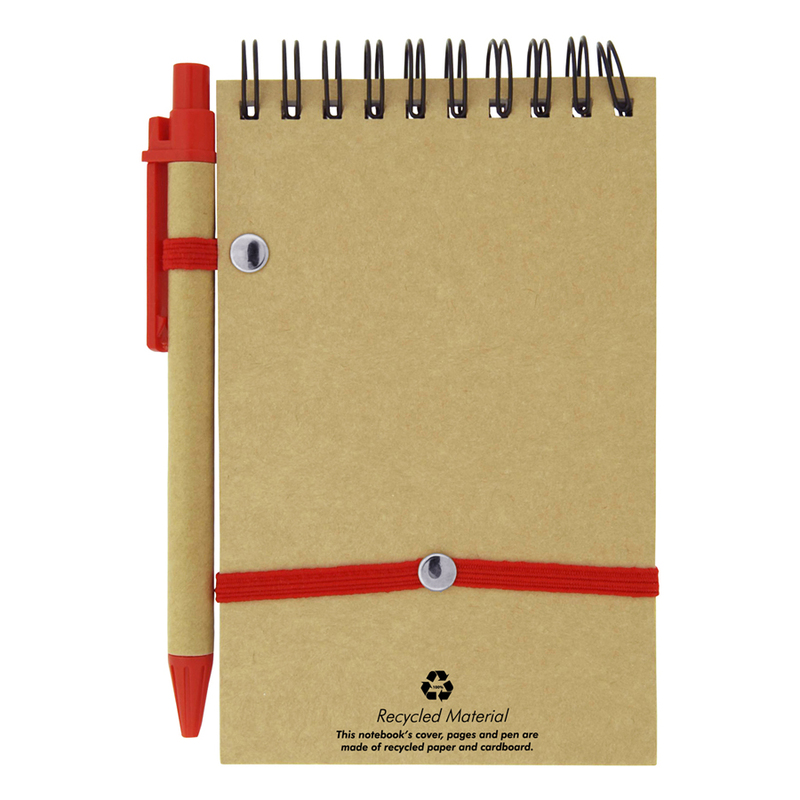 Write down those important notes and save Mother Nature at the same time with these recycled jotter pads. 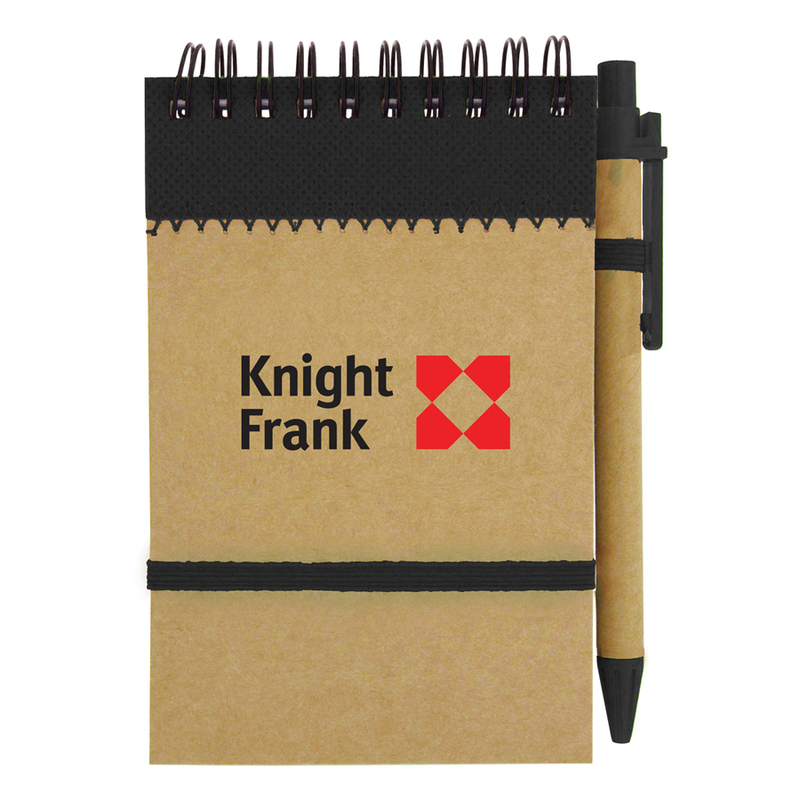 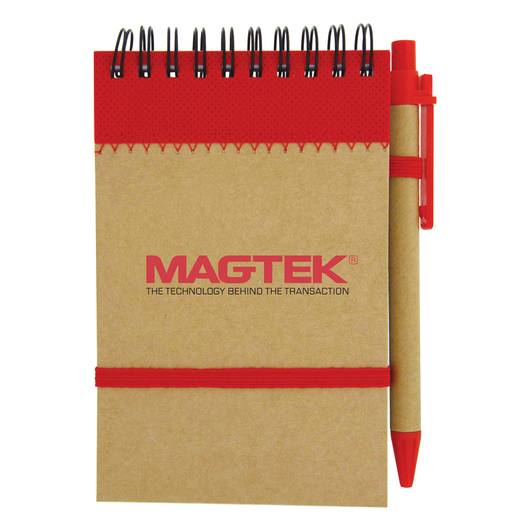 These jotter pads comes with a heavy cardboard cover made from recycled paper, the colour stripe is made from recyclable non-woven material and has 70 pages of recycled lined paper. 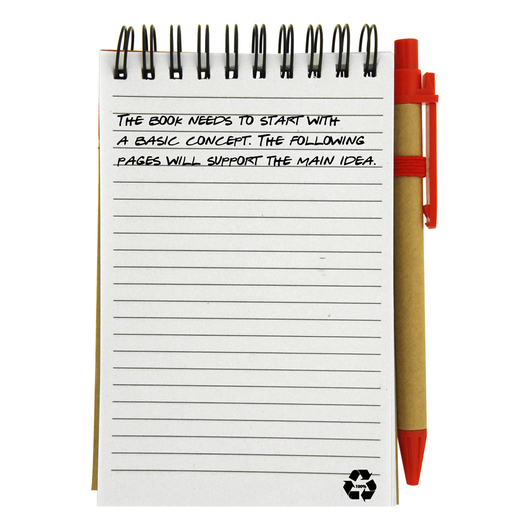 Other features include a blank black ink pen made from recycled paper, an elastic band to keep the notebook closed and a metal ring binding. The back cover and each page feature the recycled logo.